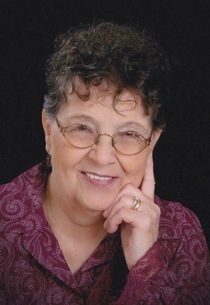 Phyllis Eileen Weeks, 80, Kokomo, passed away at 12:30 pm Saturday, November 3, 2018, at her home surrounded by her family. She was born February 13, 1938, at home in Kokomo. She was the daughter of the late Carl L. Myers & Wanita L. (Tow) Mount. Phyllis and Richard met at a gas station and were married at a funeral home in Illinois on October 7, 1960, and recently celebrated their 58th wedding anniversary. Phyllis was a graduate of Kokomo High School. She retired in 1994 from General Motors-Delco Electronics. Phyllis also worked for Monte’s Fine Dining, and Big Wheel Restaurant. She enjoyed making pottery, taxidermy, and raising exotic birds. Phyllis and Richard were well known for their large family Thanksgiving dinner. She traveled to England with her husband, and across the United States in their restored Hot Rods. Phyllis attended St. Andrew Episcopal Church, where she and her husband were care takers of the church for many years. She loved and deeply cared for her family, grandchildren, and great-grandchildren. Along with her husband Richard, Phyllis is also survived by her children, Vivian Sue (Mike) Butcher, Kokomo, Richard (Deborah) Weeks II, Shiloh, TN, Brian Weeks, Kokomo, Billy Ray Canady, Kokomo, and Angela Skaggs (Bobby Ottinger) Kokomo, along with 12 grandchildren, 13 great-grandchildren, and 3 great-great-grandchildren; siblings, Barbara (David) Newland, Ft. Wayne, Virginia (Allen) Bell, TN, Joe Davis, Roy (Sandy) Myers, IL, and Ray Myers, IL, along with many nieces and nephews. Phyllis is preceded in death by her parents; daughter, Teresa Garrison; and grandson, Joseph Cron. Funeral services will be held at 1:00 pm Thursday, November 8, 2018, at Shirley & Stout Funeral Home & Crematory, 1315 West Lincoln Road, Kokomo, with Fr. Ted Neidlinger officiating. Entombment will follow in Sunset Memory Gardens. Friends are invited to visit with the family from 11-1 pm Thursday at the funeral home. Messages of condolence may be left online at www.shirleyandstout.com.